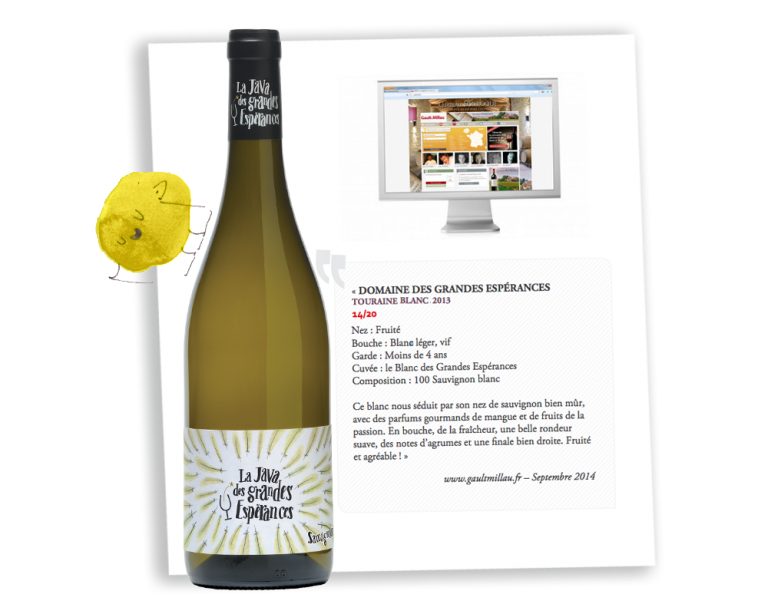 Gold medal for our Java du Domaine des Grandes Espérances at the Prix Plaisir of Bettane & Dessauve. 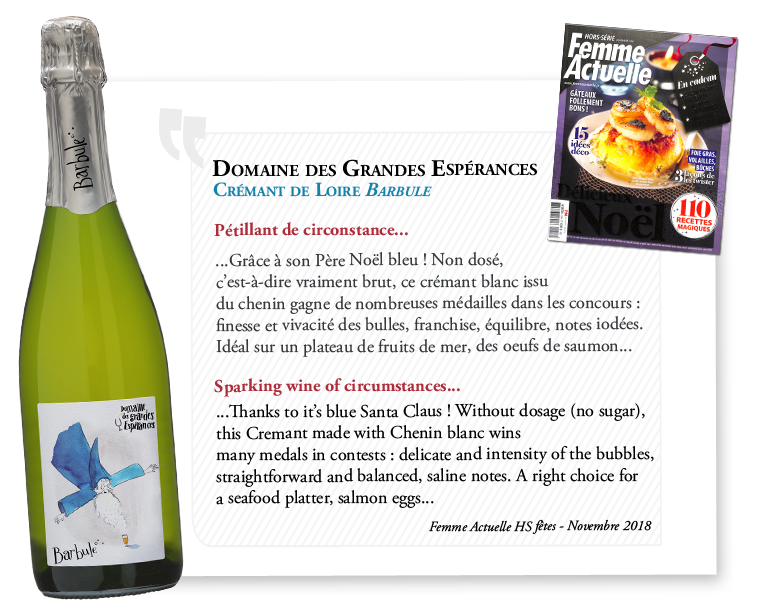 In the latest issue of Femme Actuelle special edition. 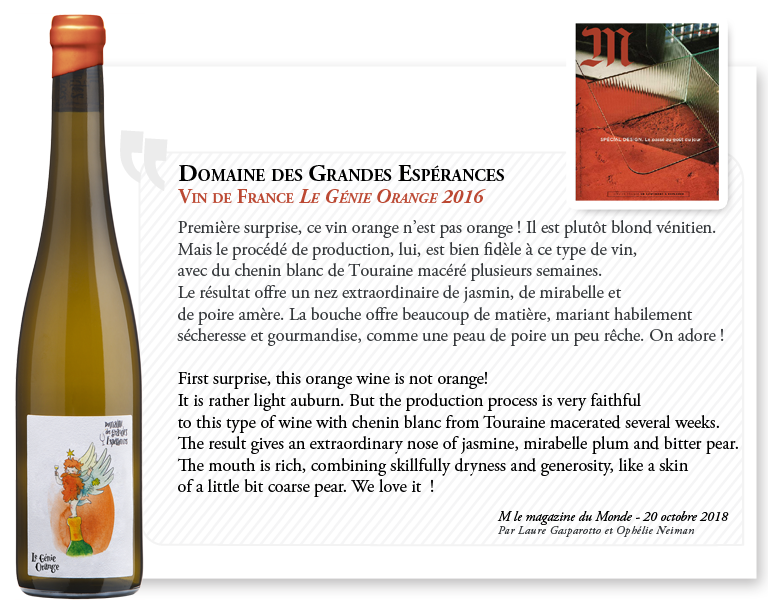 Le Génie Orange, Vin de France from Domaine des Grandes Espérances. 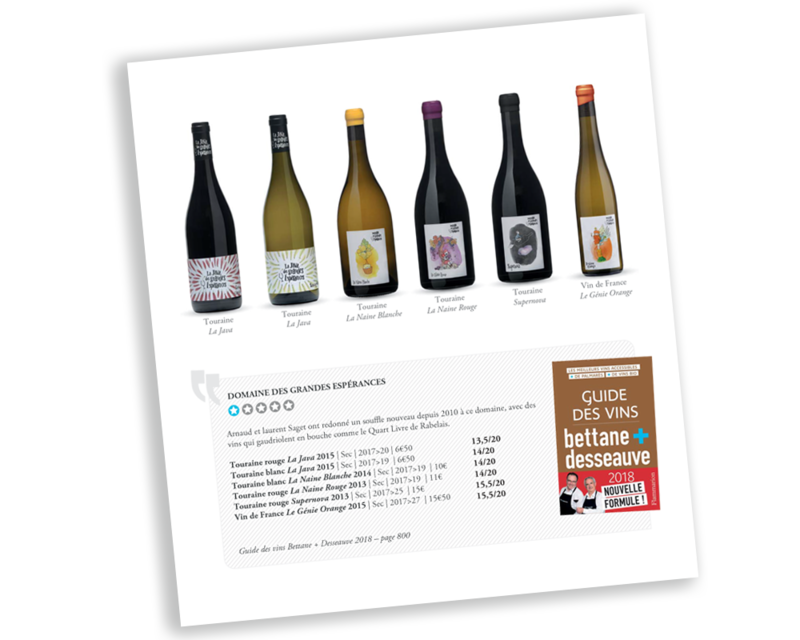 "A 100% cabernet franc that the jury has appreciated for its overall harmony. 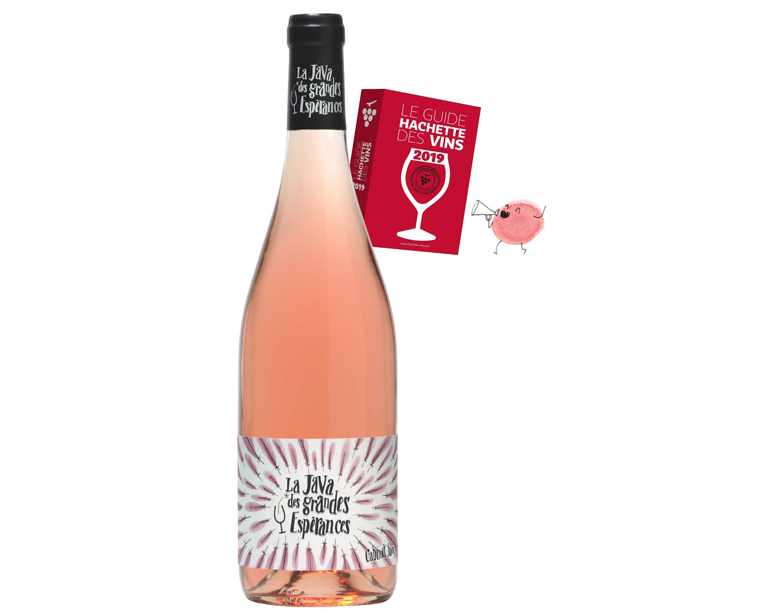 The shiny salmon-pink colour is attractive, as well as the subtle notes of fruit drop that escape from the glass.The mouth is supple, elegant and long, amylic and fruity "
Arnaud and Laurent Saget have breathed new life into this domaine since 2010 with wines that are as lively on the palate as Rabelais’ “The Fourth Book”. Gold medal for our Touraine white 2015 at the Berliner Wein Trophy. 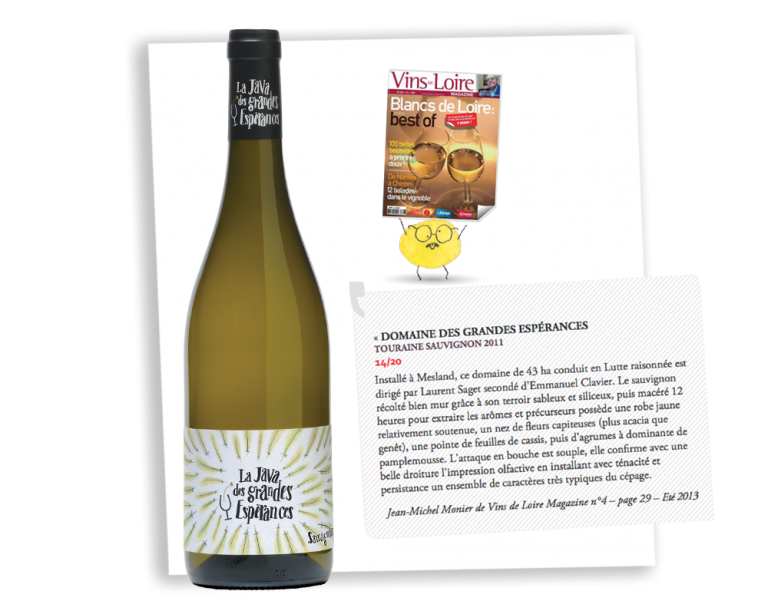 Les Ailes Pourpres, Touraine 2014 is rated 16.5/20 by La Revue du Vin de France, in the special edition « Best wines of the Year ». 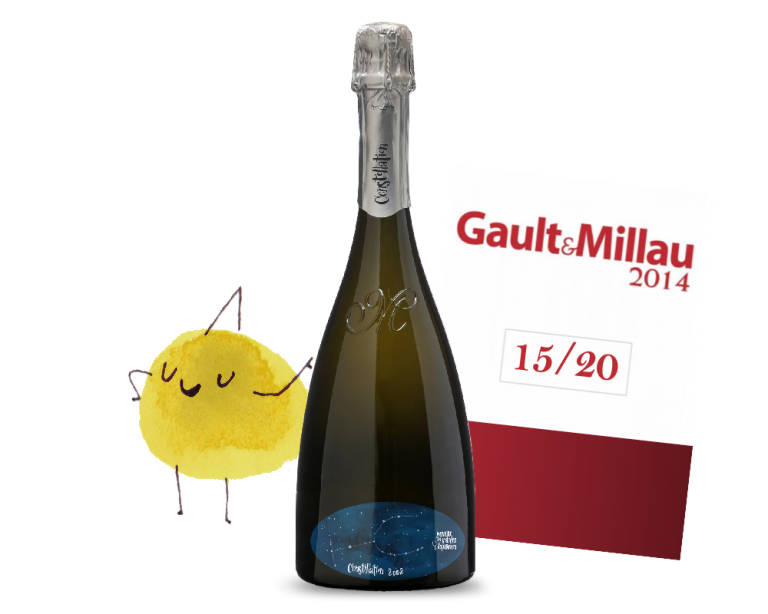 Constellation, Crémant de Loire from the Domaine des Grandes Espérances received the rating 15/20 by the famous Gault &Millau guide in 2014. 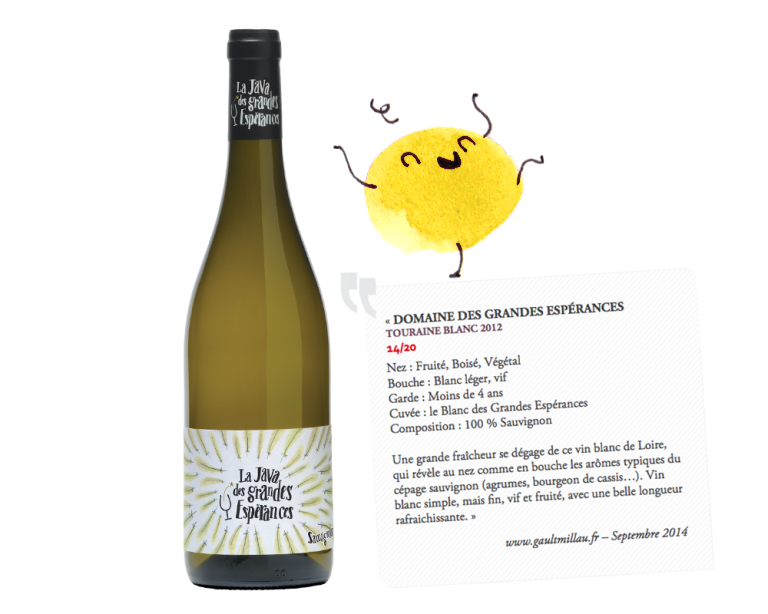 This white wine from the Loire offers exceptional freshness. The nose and palate disclose characteristic aromas of the Sauvignon varietal such as citrus fruit and blackcurrant buds. 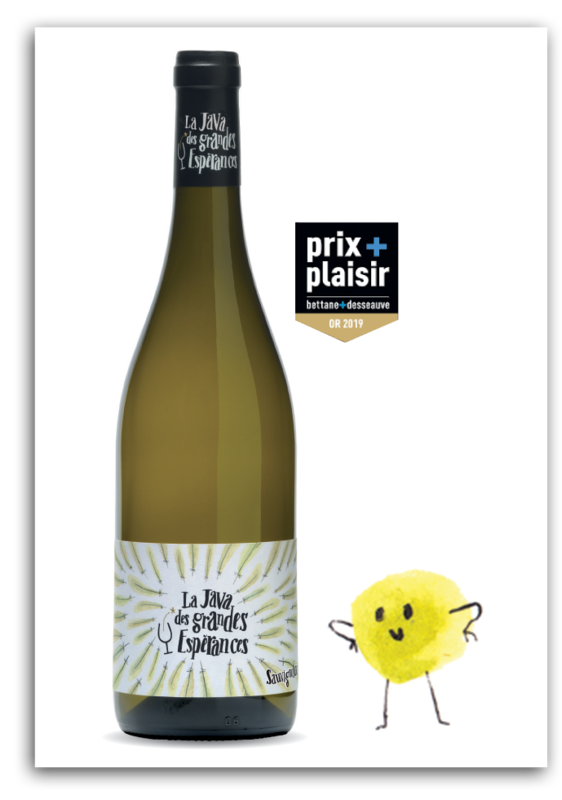 A simple, elegant, lively and fruity wine with a pleasant freshness that lingers on the finish. 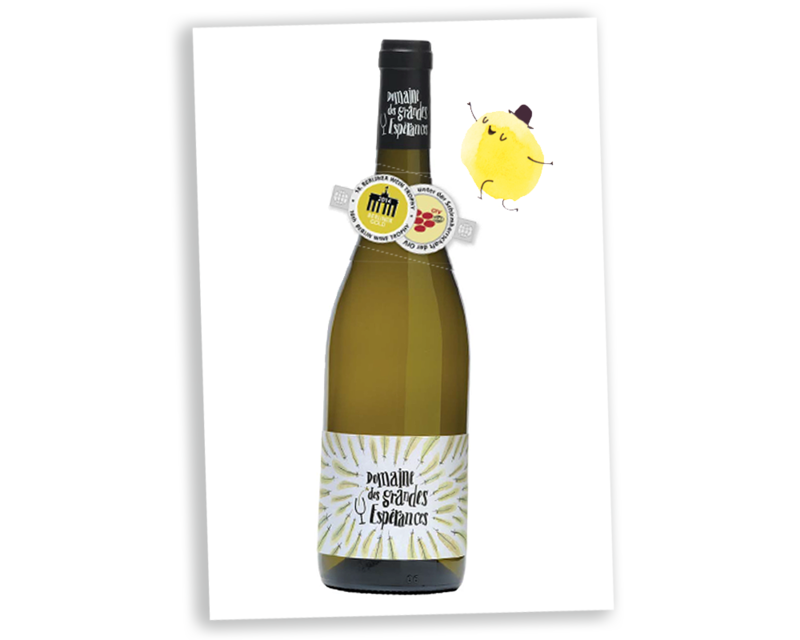 This white reveals succulent, ripe Sauvignon aromas of mango and passion fruit on the nose. 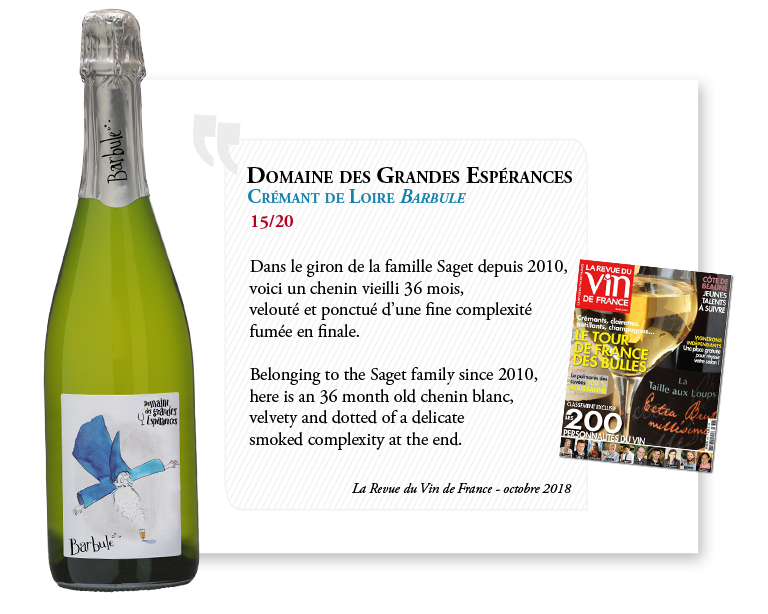 The palate combines excellent freshness, a smooth texture, notes of citrus fruits and a precise finish. Fruity and very easy to drink! 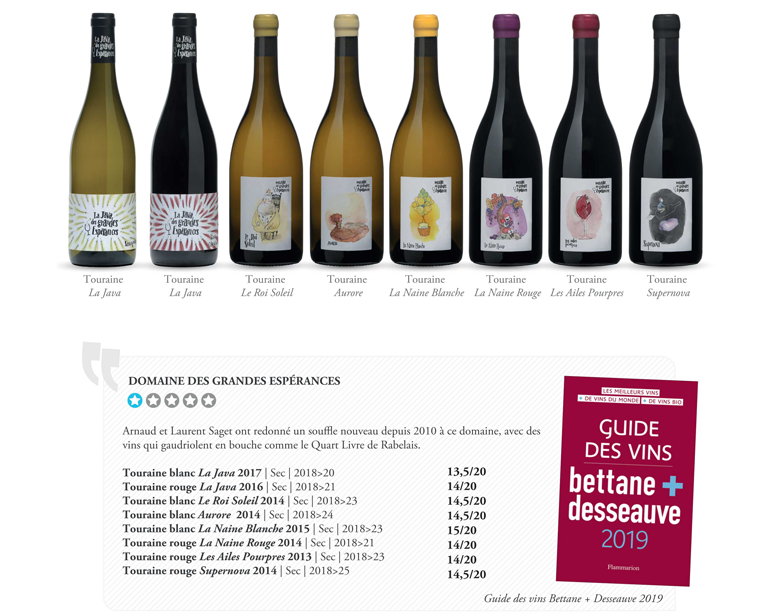 This wine estate is located in Mesland and run by Laurent Saget and Emmanuel Clavier. Its 43 hectares of vines are cultivated using sustainable growing methods. The Sauvignon grapes are harvested at optimum ripeness levels thanks to their sandy and siliceous soils before being macerated for 12 hours in order to extract the aromas and aromatic precursors. 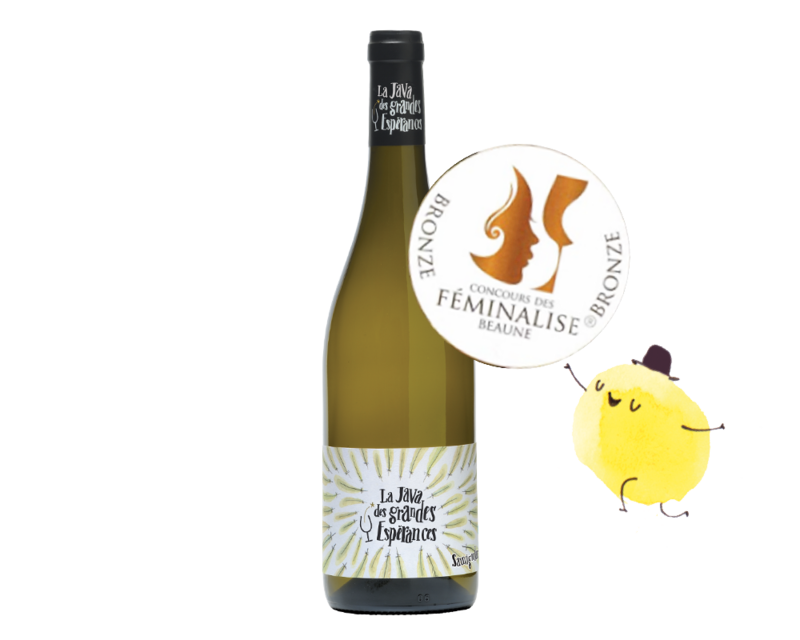 This wine displays a relatively deep yellow hue, heady notes of white flowers on the nose (more acacia than broom), a touch of blackcurrant leaf and citrus notes dominated by grapefruit. The attack is smooth and precise with excellent structure and persistence, characteristic of the varietal. La Java des Grandes Espérances won a bronze medal for the Feminalise Award in Beaune in 2010.